In an ideal world, video games are advanced enough to give us "smart" enemies—you know, the type of foes that provide a meaningful challenge because they use actual tactics. "Dumb" AI, by contrast, is often critiqued and made fun of—most players have head-shaking stories about a game with enemies that run straight at you, or stories about games with lackluster AI. It seems to me that, as a community, we eagerly await the day games provide us intelligent enemies. The funny thing is, there's a chance you'll hate it when an AI is smart, too. Over at the Ask A Game Dev blog, an anonymous developer details a fascinating story about playtesting a shooter. Let's say you have a situation like this one—the player is on the left, the enemies are on the right, and there is some cover between you. The enemy outnumbers the player. Players didn't always see the bad guys doing the flanking. In fact, most of the time, they were so caught up shooting at the bad guy acting as bait that they completely ignored the other guys sneaking around to bust a cap in their asses. When the other guys finally appeared and started shooting at the player from their new position, the players complained about how the stupid game was cheating by spawning bad guys behind/flanking them. In order to combat this "unfair spawning behavior", players would then tactically withdraw (run away) until they were in narrow hallways where the AI could not flank. There, the players could then pick off the AI at their leisure one by one, since they had nowhere to go. Because this is the only tactic that worked well consistently, the players complained that the AI was dumb for just running in and getting shot while they stayed in relative safety. In essence, we had built an AI that really did outsmart most players and players really don't respond well to being outsmarted, so they had turned the tables by repeatedly dragging the AI into situations where it was dumbest, and then winning through attrition. And that was a problem, because it wasn't fun. But it sure was effective. We tried a few things to make it better. We recorded voice-over audio of thugs basically spelling out exactly what it was they were doing. The bait would shout "COVERING FIRE" as he did so, the other guys would yell things like "I'LL GET HIM FROM THIS SIDE!" as they moved. The bad guys would all periodically shout "RELOADING!" when they were supposed to stop firing and give the player a chance to shoot back with impunity. It didn't work. Most players still tunnel visioned in on the bait like tween girls on Edward Cullen. In the end, the AI team hastily cobbled together a second AI type which would rush the player in a suicide charge just for some variety. Fascinating, no? Makes you wonder how many times we've actively forced an AI to act in a stupid way—I've definitely done that thing where I funnel enemies through a hallway, for example. Doing so made me feel powerful, but it also meant I cheated myself a bit—and then, naturally, I'd blame the game. 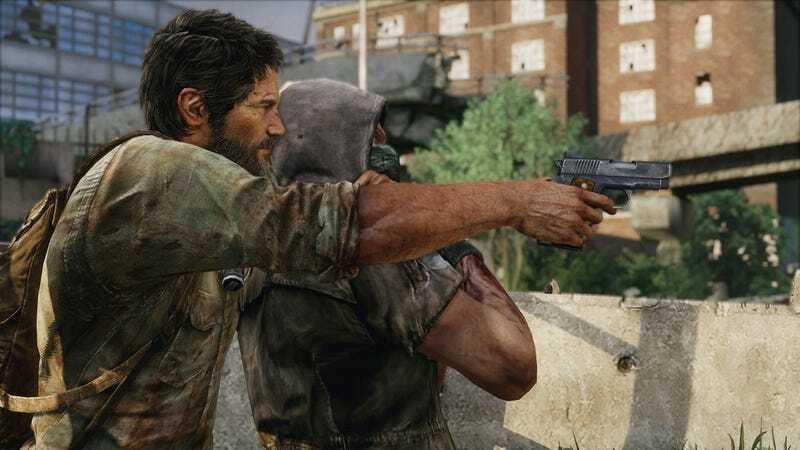 I'd still like to think I want smarter AI in my games, of course—I think back on the early showings of The Last of Us, where enemies seemed to do really cool things like get scared and negotiate with you if you held a friend at gunpoint, and thinking that it was so, so cool that a game would do something like that. That hopefully more games would follow suit and provide interesting, dynamic enemies. But maybe I don't really know what I want. I'm not a game designer, after all. A "smart" AI, Ask A Game Dev postulates, is not always as fun as an AI that provides variety and is actively fun to beat—and ultimately, the idea that we want intelligent AI may be just a myth.